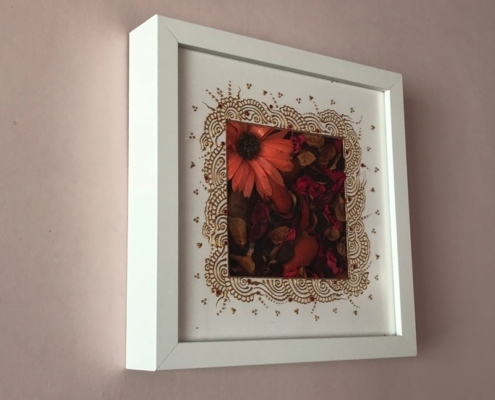 Shelly is a London based mehndi artist. 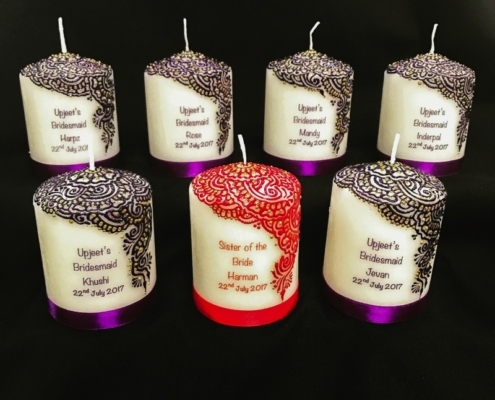 She has always had a passion for henna art from a young age and started it as a hobby, which led on to a career. 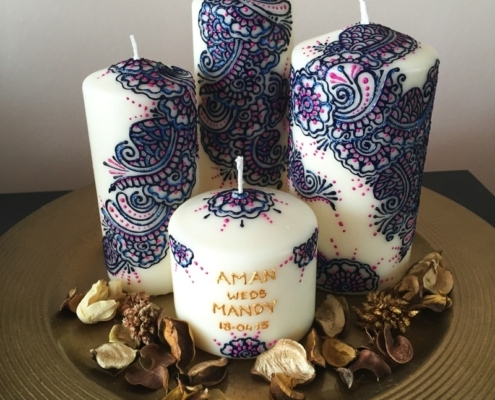 From doing mehndi at wedding events, shelly decided to take the art of henna designs and create them on candles. 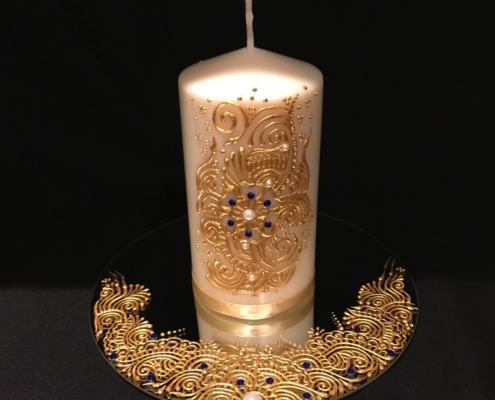 From doing henna art on candles, she started to do a wide range of objects using the same concept. Shelly also takes large orders for weddings and parties, being favours, tables centerpieces, head/cake table set up. Listening to client’s preferences, shelly ensures her clients are 100% satisfied with both the service provided and the final outcome of the order, making sure it meets their expectations. 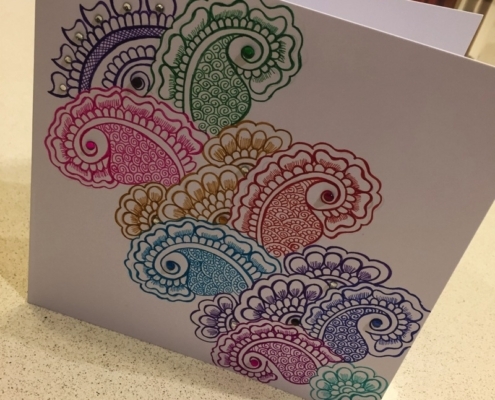 Shelly also provides henna art training. For more information on training courses, placing orders or any of the items in the gallery, please get in touch. What are we up to right now? 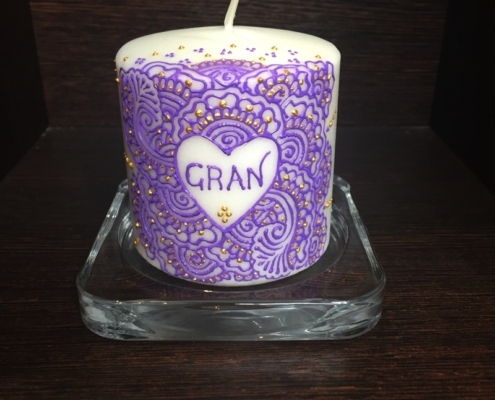 Hand Decorated Gifts & Decore Inspired By Henna Art from Candles, Decore and Invites to Gifts, Mugs and Phone Cases for any occasion. Customised just for you.